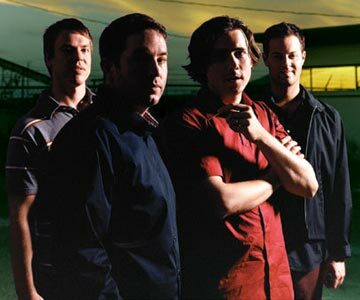 Jimmy Eat World Biography, Discography, Music News on 100 XR - The Net's #1 Rock Station!!! Mesa, Arizona USA, Alternative-Rock troop Jimmy Eat World formed in 1994, originally comprised of lead singer + guitarist Jim Adkins, guitarist + vocalist Tom Linton, bassist Mitch Porter and drummer Zach Lind. The quartet began recording a string of independent EPs, split records and singles. Porter quit in mid-1995, shortly before they signed with Capitol Records, he was replaced by bass player Rick Burch. The following year, "Static Prevails" marked their official album debut. In early 1999 the band issued its second effort, "Clarity", which entered the top 30 of the Billboard's Heatseekers chart thanks in part to the single "Lucky Denver Mint"; the foursome also gained some attention in Europe. After being dropped by Capitol, the band signed a new recording contract with DreamWorks/Grand Royal and in July of 2001 released their breakthrough album "Bleed American"; the disc was re-titled "Jimmy Eat World" after the tragic events of September 11, then the album started to climb up The Billboard Top 200 chart reaching the #31 position and generated no less than four Modern Rock top 20 hits including the #1 smash "The Middle", the #2 "Sweetness", "Bleed American" and "A Praise Chorus". "The Middle" became the band's most successful single ever, achieving a career-best peak of #5 on The Billboard Hot 100 and in the U.K. ascended into the top 30. 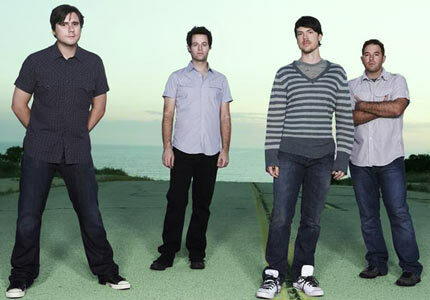 In October 2004, Jimmy Eat World, returned with their fourth full-length disc, "Futures", which quickly became top 10 on the North American Albums charts and the first single, "Pain", shot to #1 on The Modern Rock listing; a second single, "Work", followed peaking at #6 on the same chart and the title-track hit the top 30. The Arizona band's long-awaited next album, "Chase This Light", was released in October 2007; the 11-song set made them a permanent fixture of the alt-Rock music scene and the first single off the CD, "Big Casino", reached the top 3 of The Hot Modern Rock Tracks in no time. The album itself climbed into the top 5 of The Billboard 200 chart spawning one further Hot Modern Rock top 20 hit in "Always Be". "Invented", the sixth album by Jimmy Eat World, arrived in September 2010 falling just one place short of the top 10 of The Billboard 200 while the first single, "My Best Theory", rose to #2 on The Alternative Songs and #9 on The Rock Songs charts. The follow-up single, "Coffee And Cigarettes" reached #23 on The Alternative Songs list. 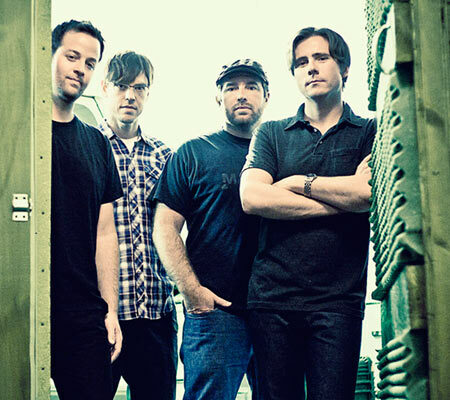 Jimmy Eat World's seventh album, "Damage", was unleashed in June 2013, via their new label home of RCA. It was recorded using analog tape instead of computer. The first single, "I Will Steal You Back", quickly found a placement on The Alternative Songs chart with a peak of #23.